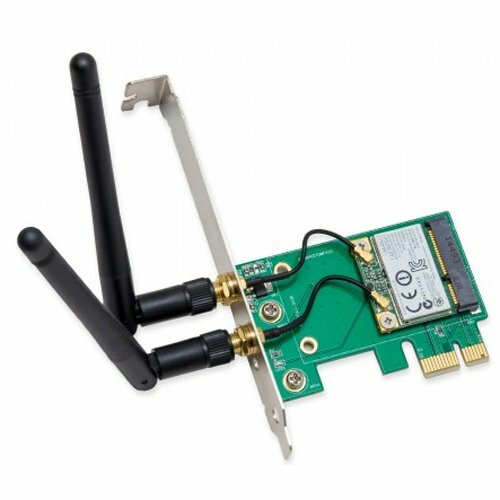 The IOCrest SY-PEX23063 wireless 802.11 a/B/G/n Wi-Fi with Bluetooth 2.1 + EDR and 3.0 + HS Combo mini-PCE to PCI-E X1 card is a highly integrated wireless local area network (WLAN) solution to let users enjoy the digital content through the latest wireless technology without using the extra cables and cords. It enables a High performance, cost effective, low power, compact solution that easily fits onto the PCI Express X1 slot. If you have any questions about this product by IO Crest, contact us by completing and submitting the form below. If you are looking for a specif part number, please include it with your message.